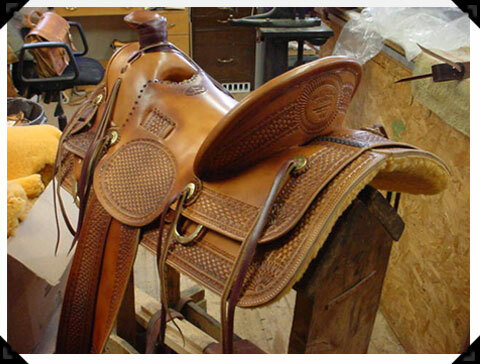 Our custom saddles are built with old-fashion quality. 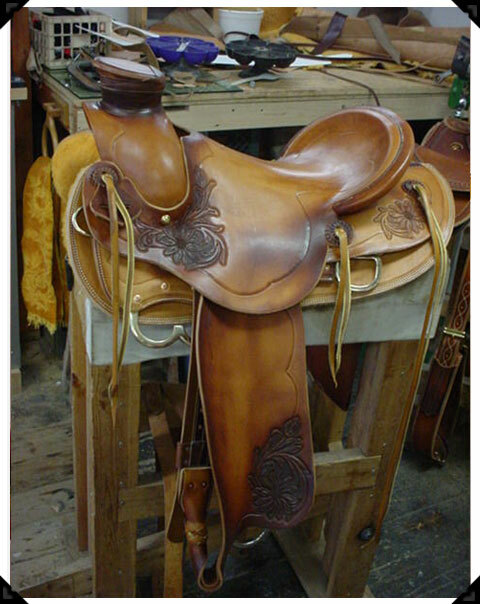 We use the best trees, hardware, and leather. 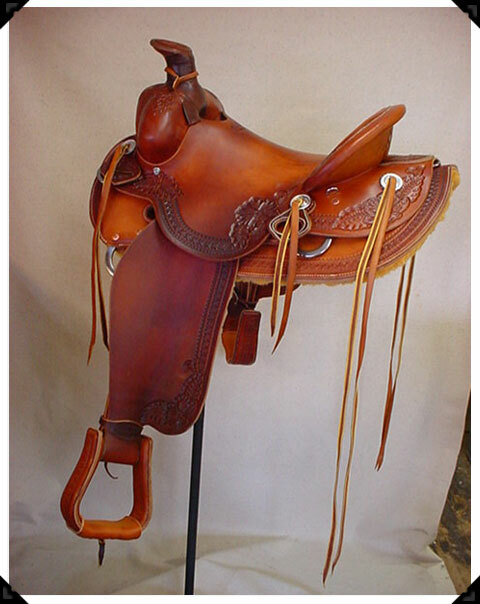 While most of our saddles have been working cowboy saddles, we will work with you to build what you need. Your size, style of riding, and the type of terrain you ride in are taken into consideration. Also, the size and type of horse you ride are considered. The list of options is practically endless. 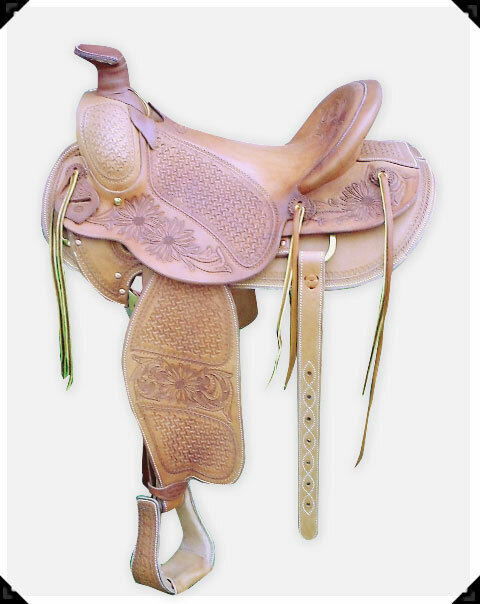 Saddles can range from plain to full flower stamped. We use any style tree available. We offer silver and/or brass trim. 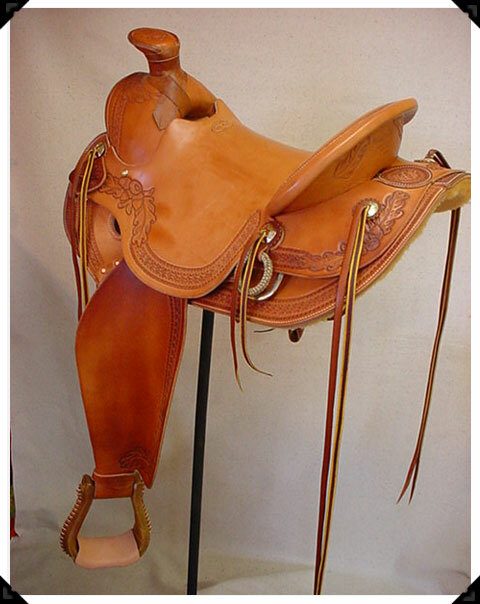 Let us know your needs and we will work with you to create a saddle to fit your needs and likes. ABOVE: An old time style on a Meana tree, 7/8 ring rigging, basket panels and border with sunburst corners.